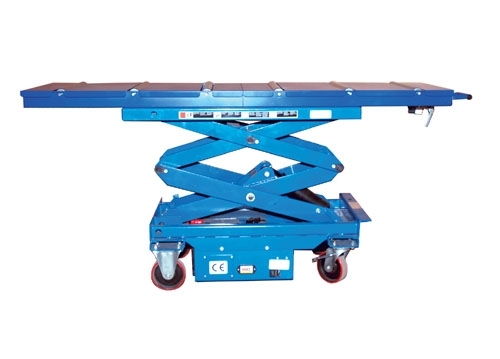 The Angelus Battery Operated Scissors Lift enables an operator to easily transfer cremation boxes, caskets or containers to and from vehicles, mortuary refrigeration units or storage areas. Optional 1000 lb. capacity scale with digital display is available, please choose with or without scale when ordering. 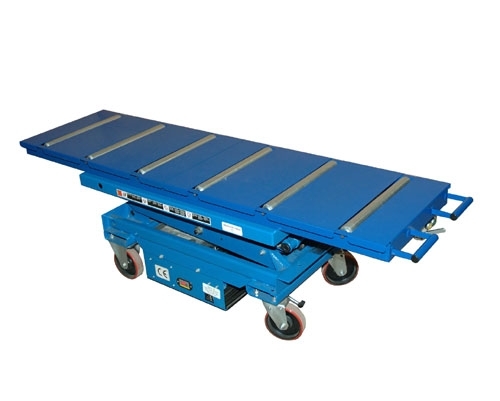 Loading Height: "Minimum 22.5" / Maximum 67"
The scissor type lift with it's lockable roller table allows for quick and easy insertion of caskets or containers into a cremation chamber. 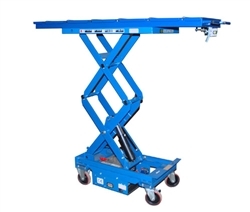 The lift is virtually maintenance free and requires minimum space. This unit is guaranteed to provide years of trouble free operation.